So, first the good news: this will be the fastest possible AMD APU and AMD dGPU for the next generation of notebooks. We can't share the specifications of the 8970M right now, but all appearances are that it is basically a clock speed increase from 7970M. As for the APU, Richland is likewise a higher clocked version of Trinity, only in this case we have raw numbers: its base clock is 200MHz higher than the A10-4600M while the maximum Turbo Core speed is 300MHz higher. In general that means the A10-5750M should be around 10% faster than A10-4600M, which will certainly help in CPU limited situations. The bad news then is that a 10% clock speed increase from Trinity isn't going to be enough to close the gap in many titles, depending on the resolution and quality settings. Looking at Trinity vs. Ivy Bridge with 7970M, I've seen Intel outperform AMD by 50% or more, particularly in titles that pound the CPU (e.g. Skyrim and StarCraft II); on other games, however, it's basically a wash at high quality 1080p settings, so as a more budget-friendly gaming notebook the GX70 has potential. The other bad news is that my continuing experience with Enduro is that it's not all that it's cracked up to be, but going pure AMD helps quite a bit. Getting updated drivers with an AMD APU and dGPU is easier, and AMD dGPUs simply cooperate with AMD iGPUs better it seems. I've done some testing with the latest 13.5 Beta2 mobile drivers issue on several other laptops (including the MSI GX60), and for most mainstream applications and games they have been fine. However, there are still times when everything doesn't work quite as smoothly as I'd like. 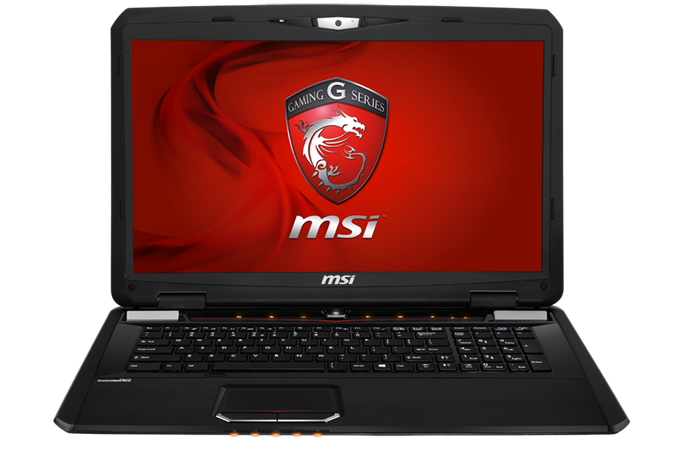 We don't have an MSRP on the MSI GX70 3BE yet, and there will be a variety of models for the various markets. At the lower end of the spectrum, I expect we'll see pure HDD models with 8GB RAM sell in the neighborhood of $1200-$1300, while higher end models with SSDs, Blu-Ray, and 16GB may push into the $1500+ range. The chassis design appears unchanged from the existing GX70, which isn't too surprising, so basically we're getting faster hardware. ETA for the MSI GX70 3BE is June 2013. Wow that's a good price for this kind of graphical punch in a 17" laptop. Jarred: Your idea that CPU-side performance improvements are limited to the 10% clock bump only may be flawed. Don't forget that they've also made improvements to their Turbo. The main additions are temp sensors that help their factor actual temp into their calculations, and the much-needed improved granularity. These changes alone will allow Richland to run at/near its maximum in more scenarios and stay at higher turbo speeds more often. Perhaps, but unless AMD have tweaked Piledriver noticeably, I wouldn't expect more than 15% faster in lightly threaded titles, falling to less than 10% under duress. It'll bottleneck the 8970M less, but it will still bottleneck. The iGPU bump is irrelevant to the laptop in question, so I didn't bother addressing that. I suppose it's a nice freebie coming from Trinity. With that being said, bumping the base clocks isn't quite as necessary now with the improved Turbo I already mentioned above. If the iGPU is sitting idle, then it has more TDP headroom and it will increase clocks to whatever extent it can, even with all cores loaded. Plus the thermal sensors allow it to actually see what kind of headroom it actually has, so they don't have to be as conservative as Trinity. The base clocks are 200Mhz higher, the max turbo is 300Mhz higher, and if the slides are anything to go on, it will be better at sustaining higher speeds - especially with the iGPU idle. Now with that being said, will this amount to more than a 15% boost? No. But for a budget gaming machine that already had potential, this is a nice improvement. It's hard to beat this machine for the money.